Sega Sammy released their financial reports for the company today, and it turns out the company did rather well. Of note, the company posted a net profit of ¥33.5 billion, or about $331 million, which is an annual growth of 53.3 percent. However, Sega Sammy’s operating profit decreased year-on-year by 67.3 percent, down to ¥19.1 billion ($189 million). Majority of this was through the sales of “investment securities” and transfers of employees’ pension benefits. That’s all well and good if you’re financially oriented and looking to invest in Sega, but you’re here for game sales number to shamelessly slap people on message boards with! 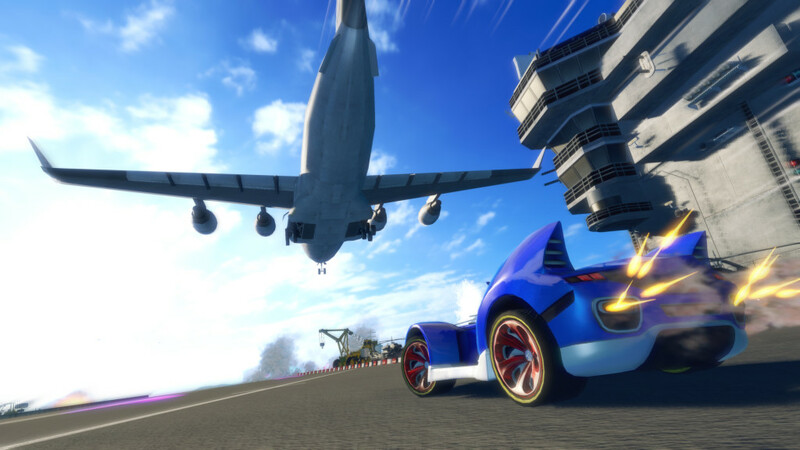 While physical retail game sales were down, causing the company to consider refocusing efforts more toward smartphone and digital titles, Sonic and All-Stars Racing Transformed zoomed across the finish line with 1.36 million units sold globally. No platform-by-platform break down was provided, but that’s still a rather strong number for the shape-shifting kart racer. On top of that, Sega broke down plans for the 2014 fiscal year, saying that they plan to ship 11 games on PC, 7 on Wii U, 7 on PS3, 6 on 3DS, 5 on Vita, 4 on Xbox 360, and 2 on PSP. While no doubt at least one of those will be a Sonic title of some sort on nearly every platform, what surprises us more is the PSP still getting some love. Keep on trucking, little guy! For a more thorough breakdown, hit up our sister site SEGAbits. She’s just as pretty as we are, promise.